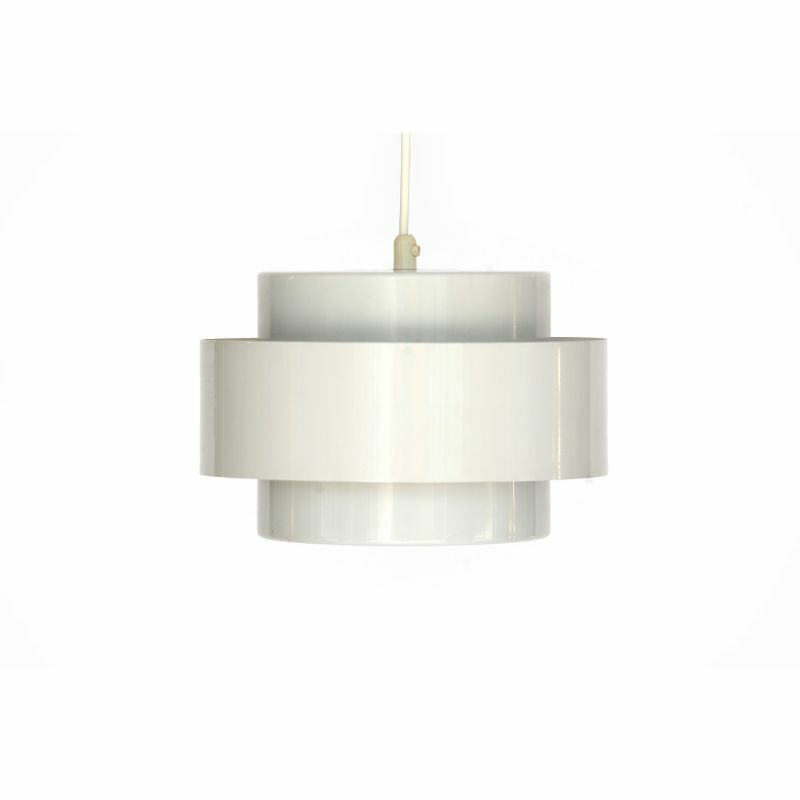 A white "Juno" pendant by Jo Hammerborg. 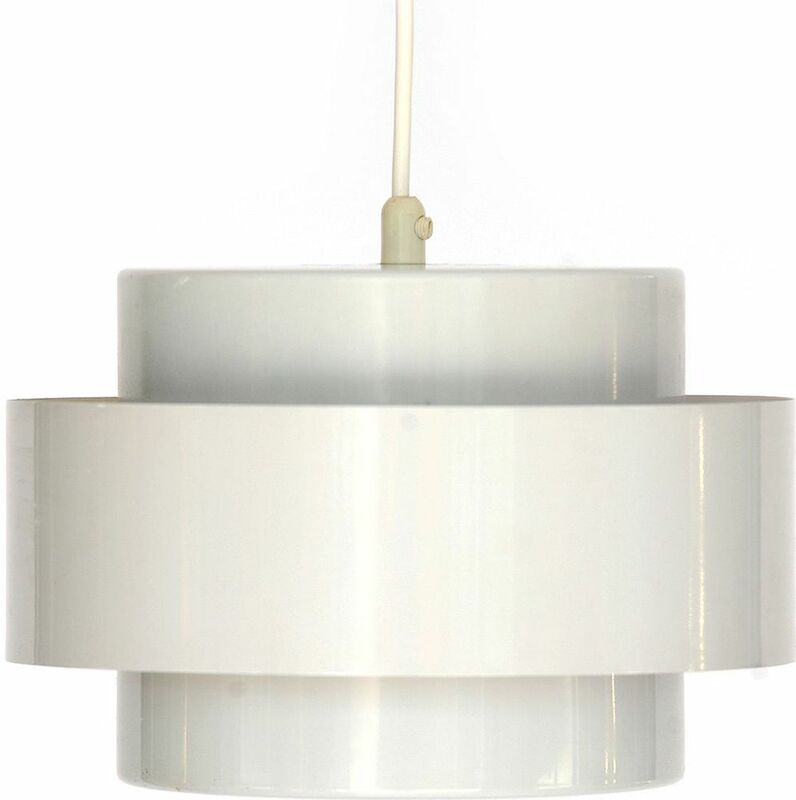 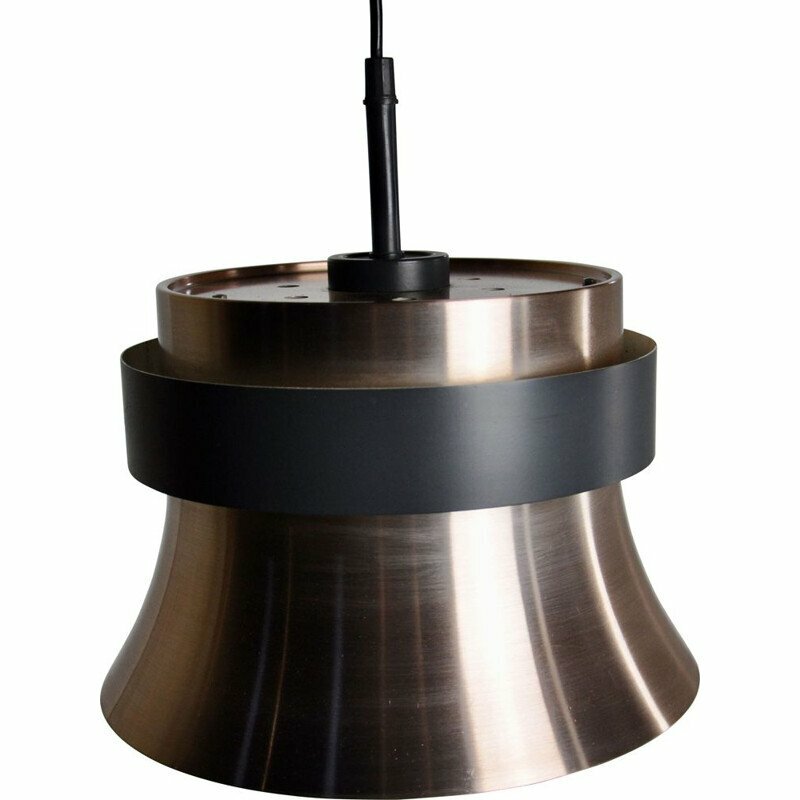 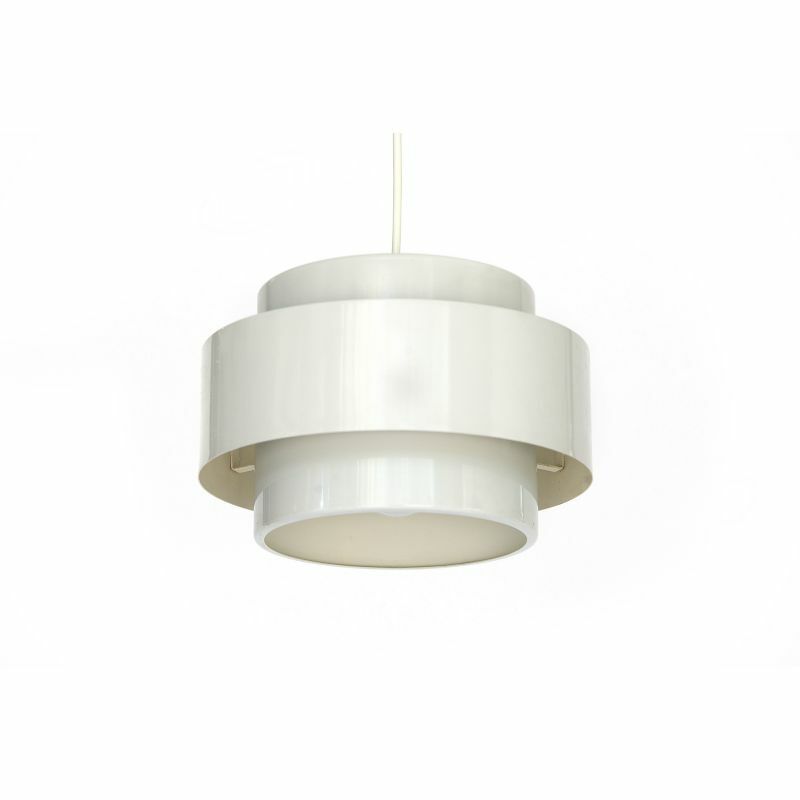 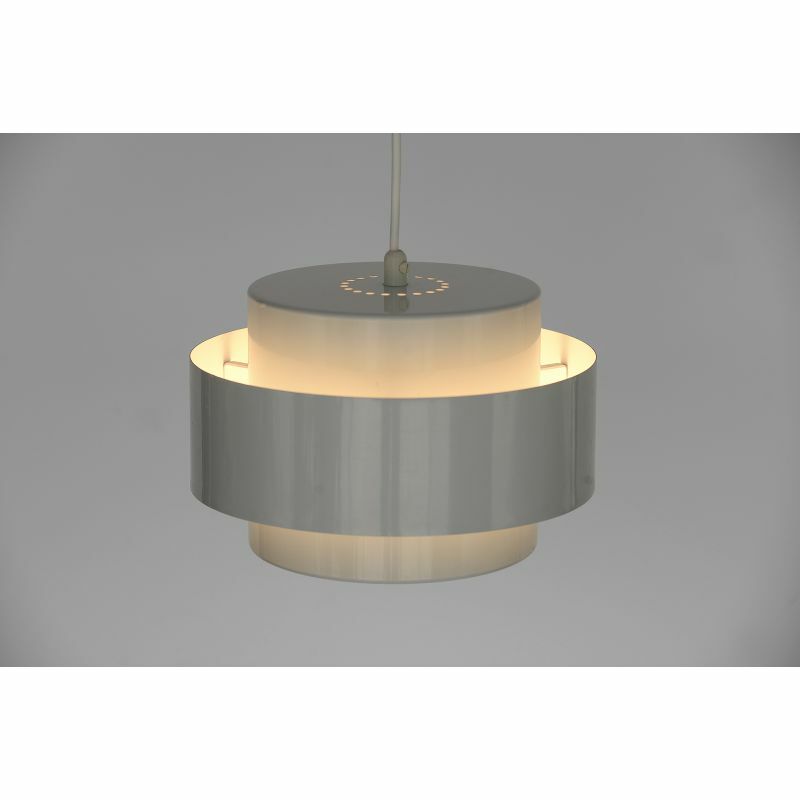 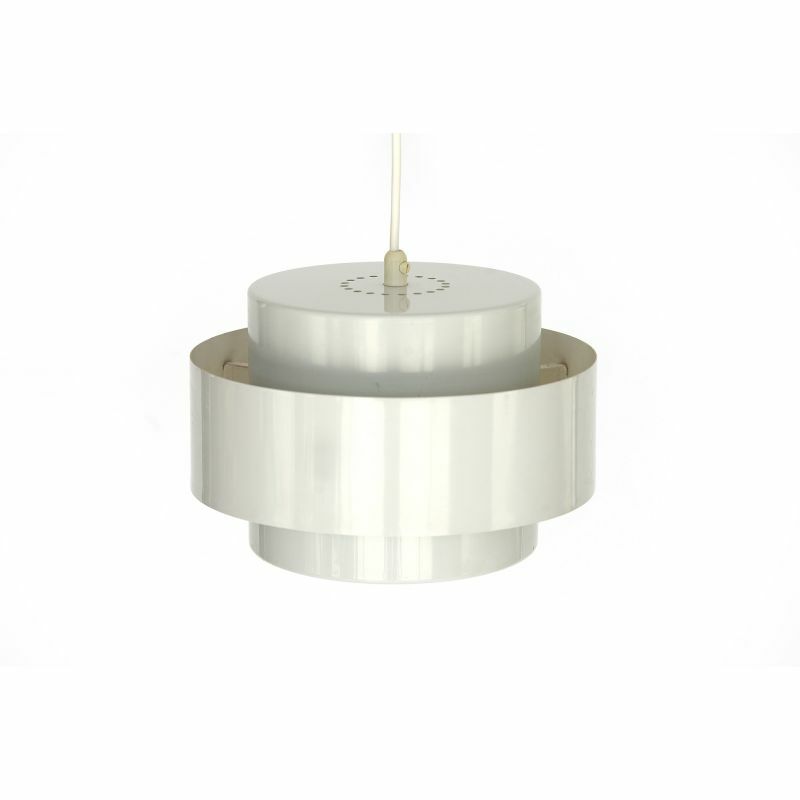 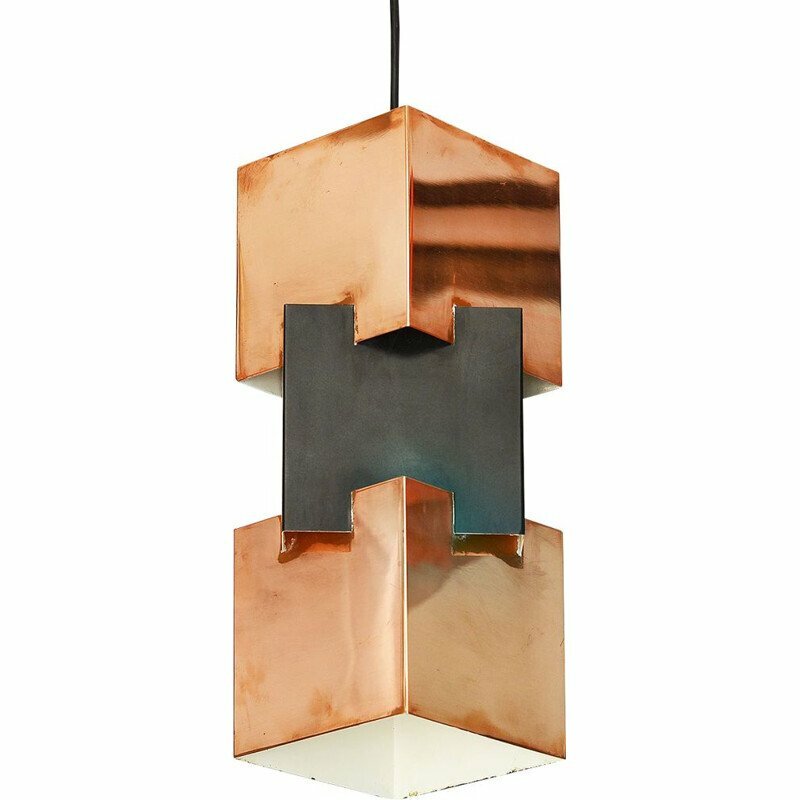 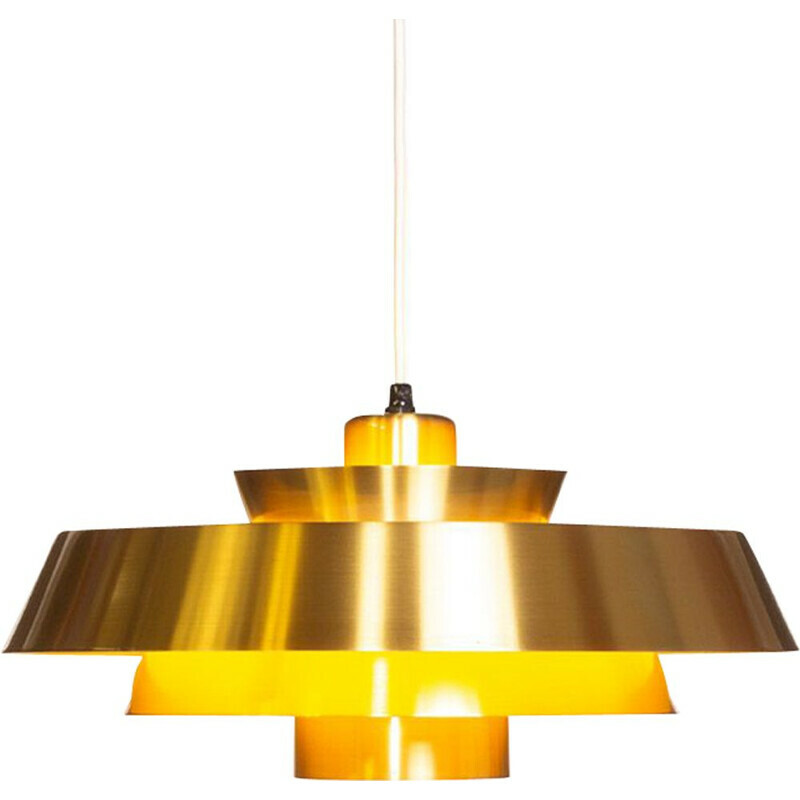 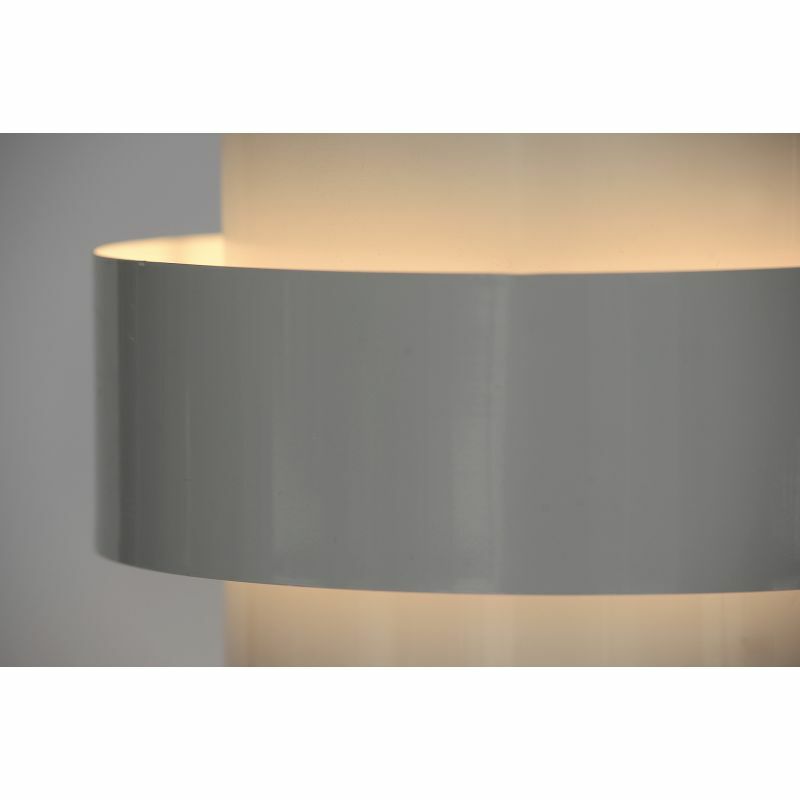 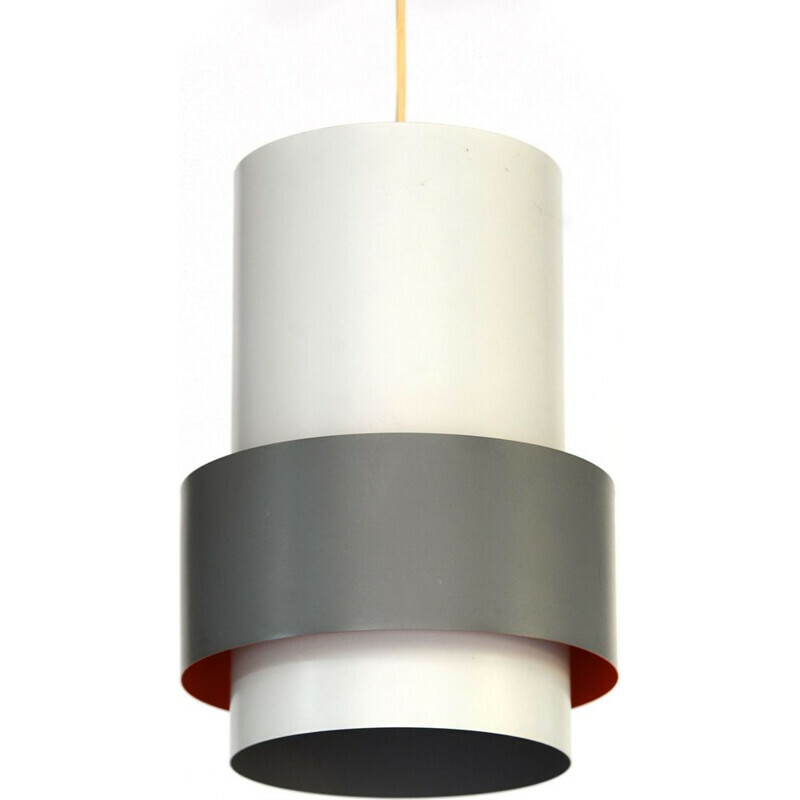 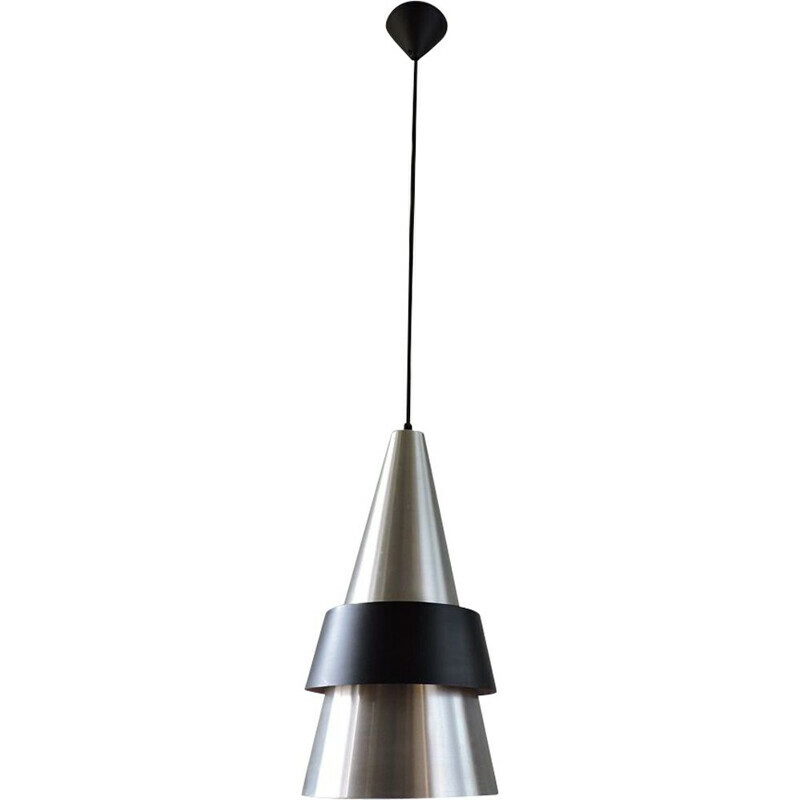 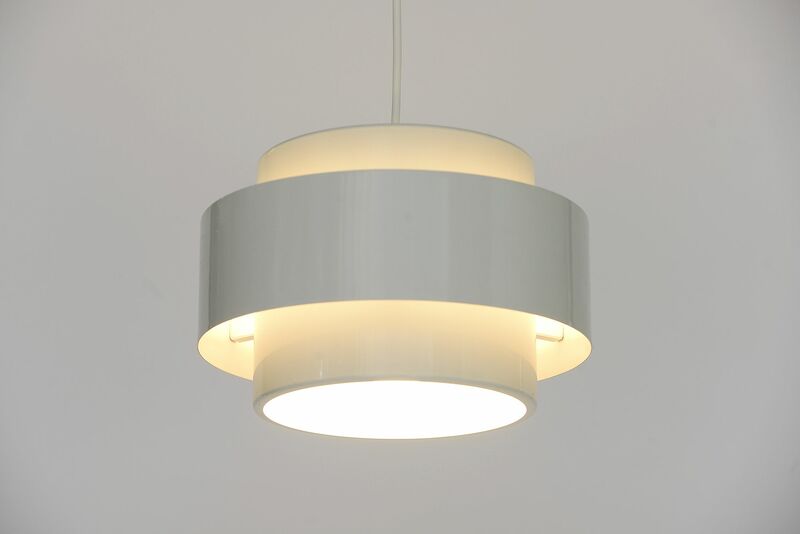 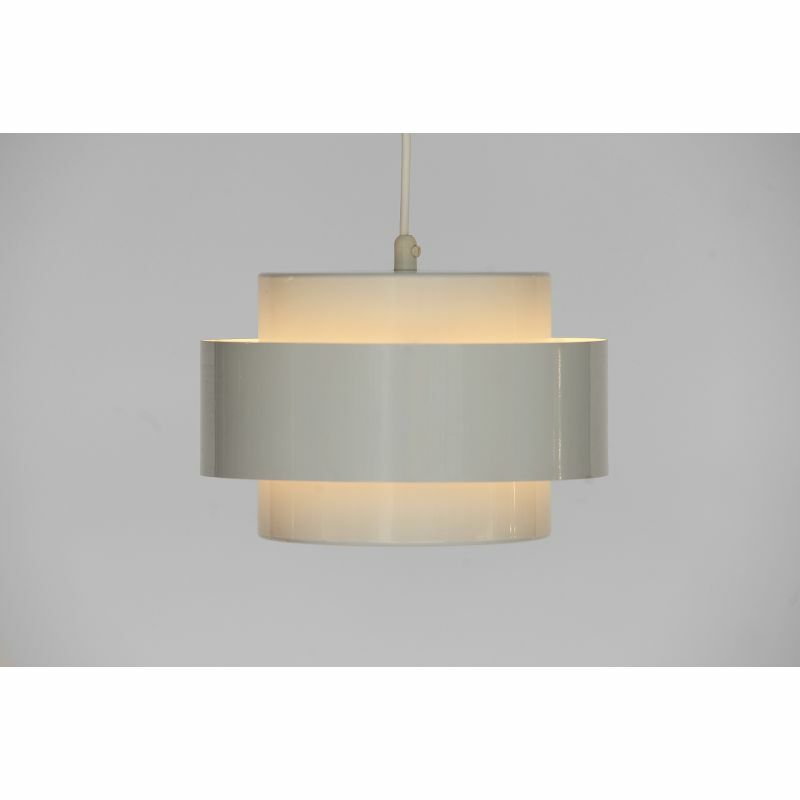 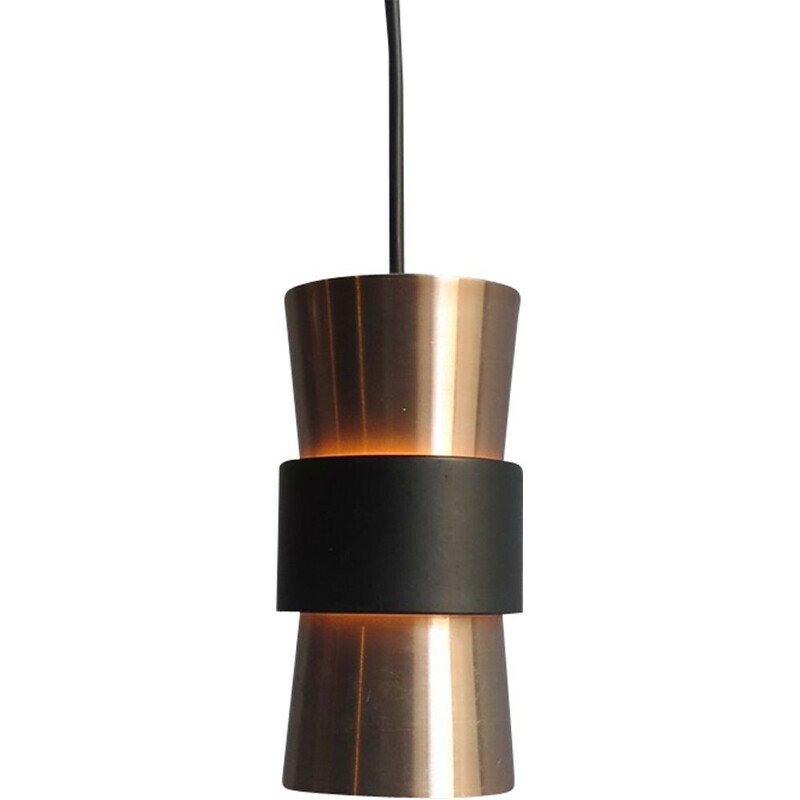 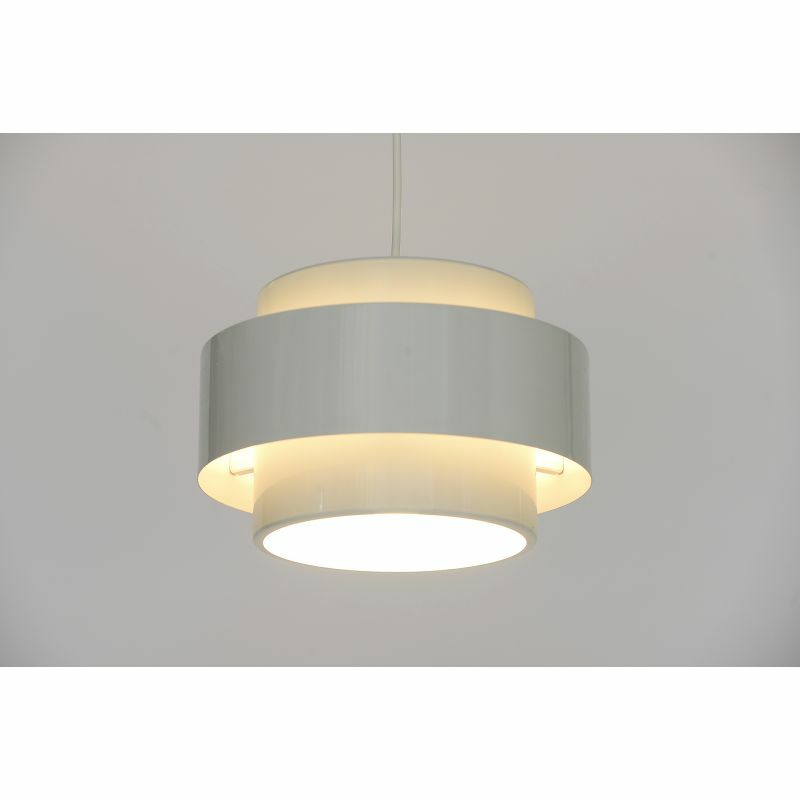 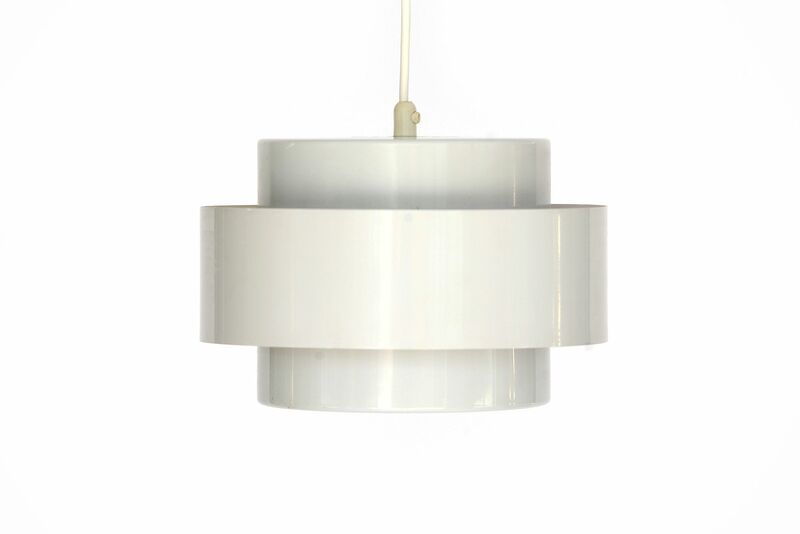 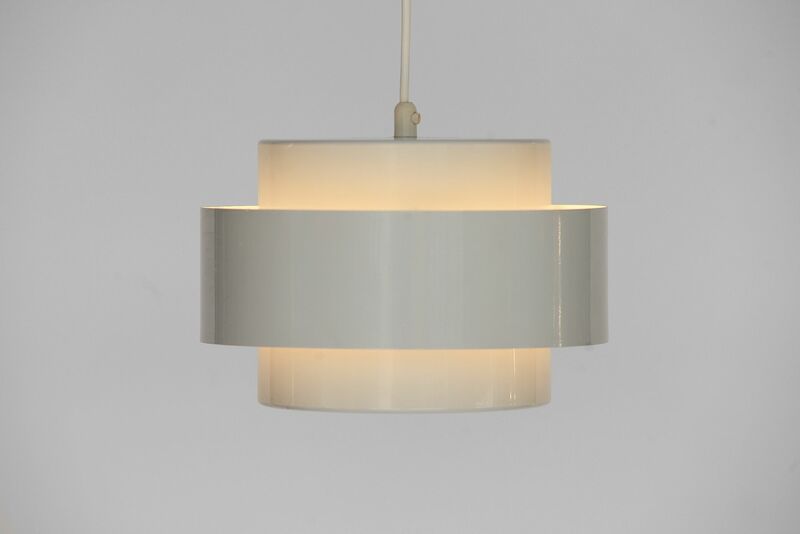 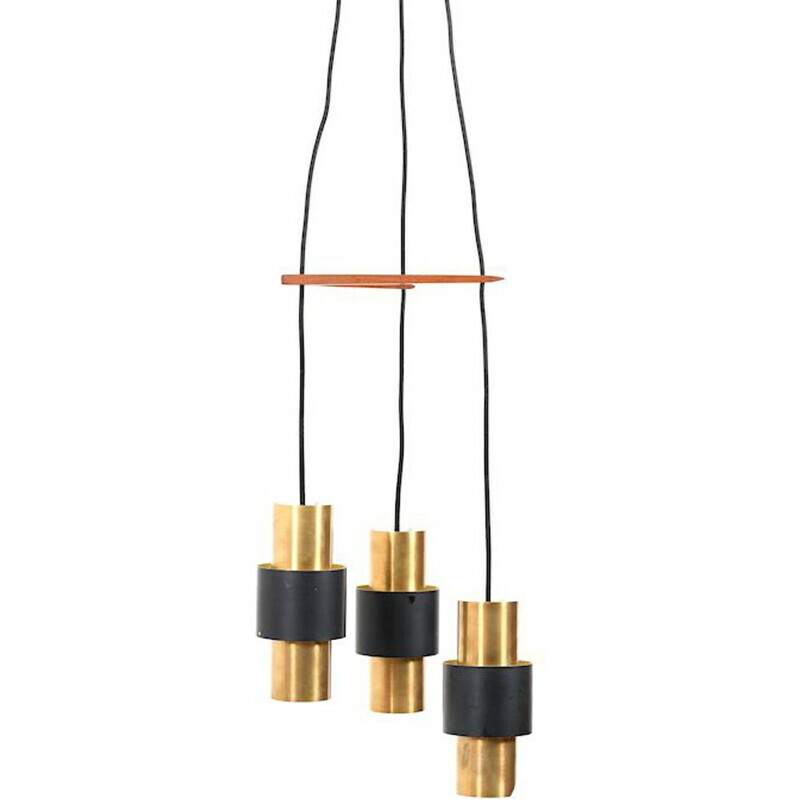 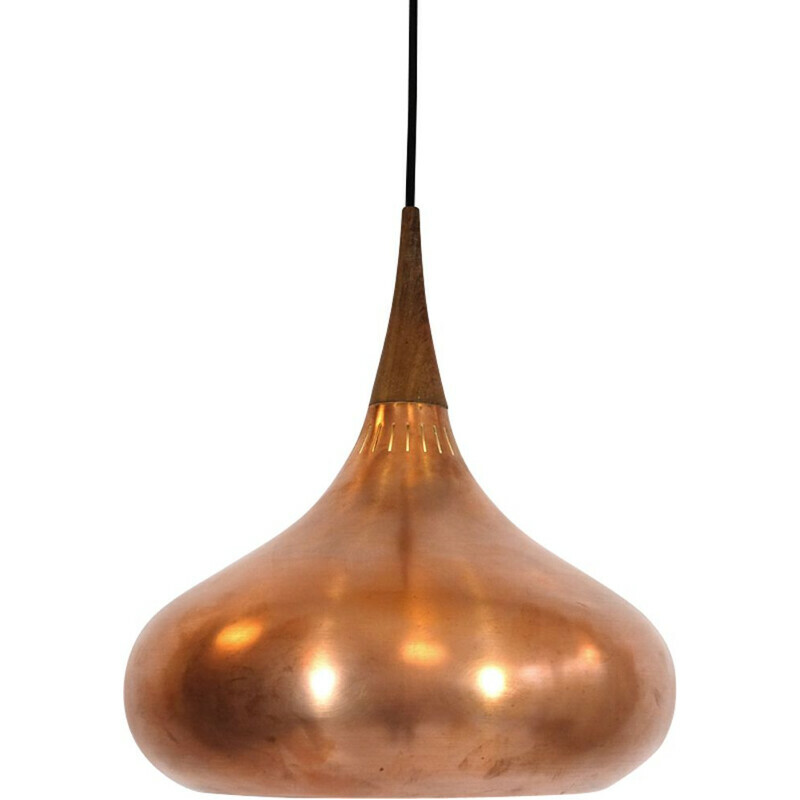 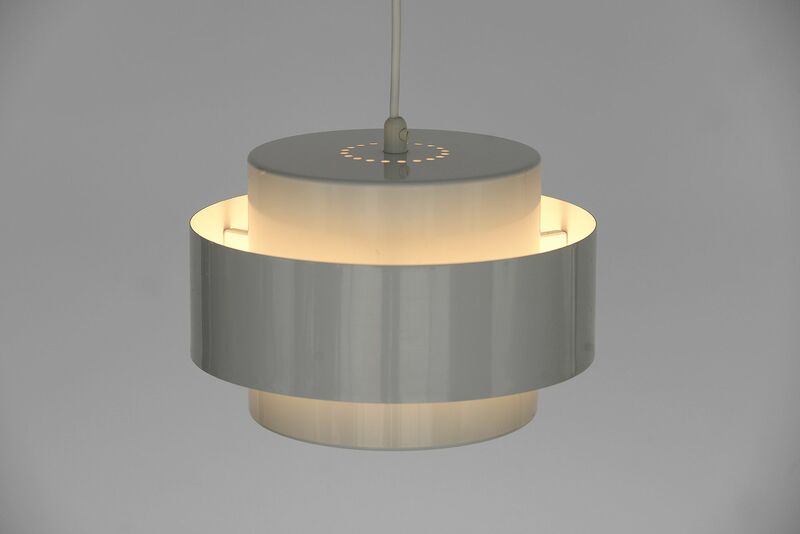 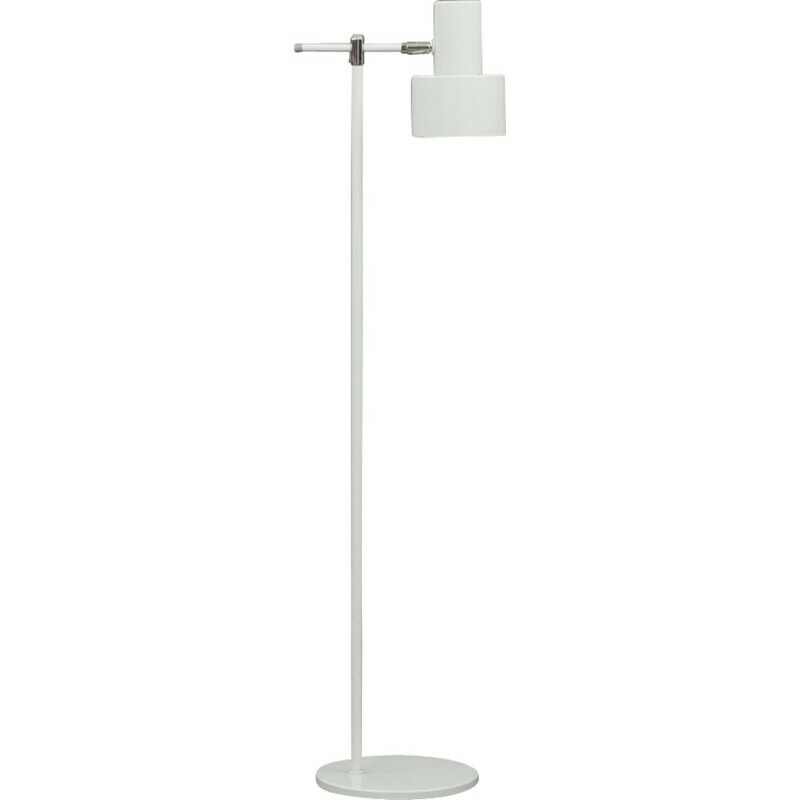 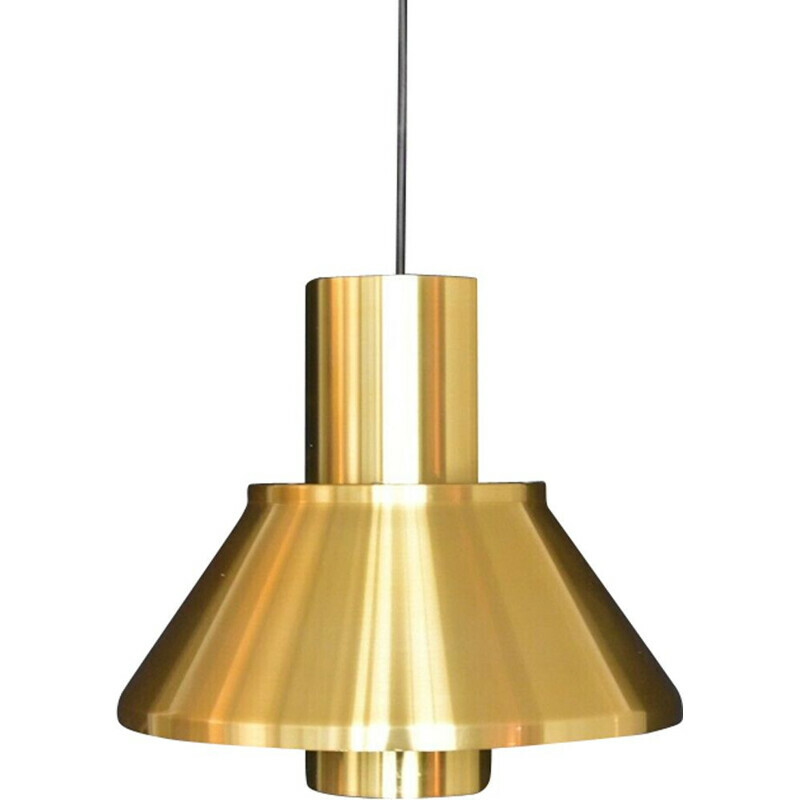 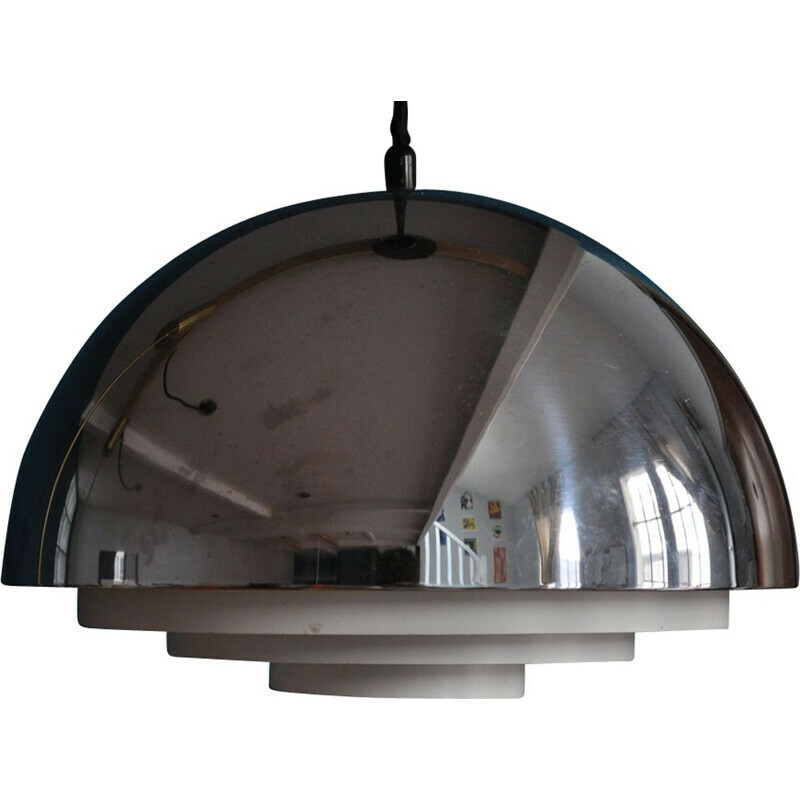 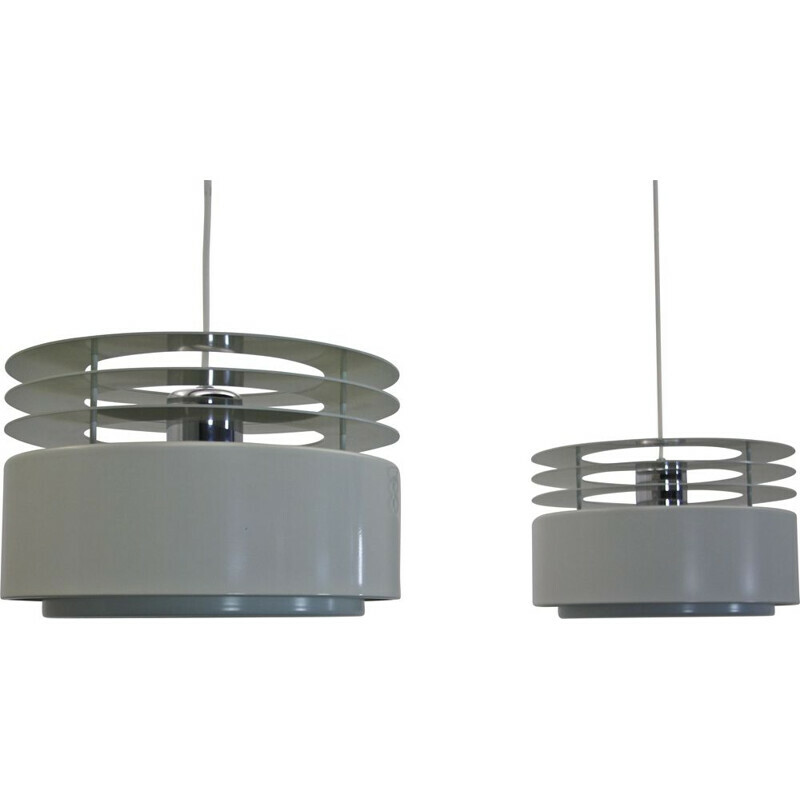 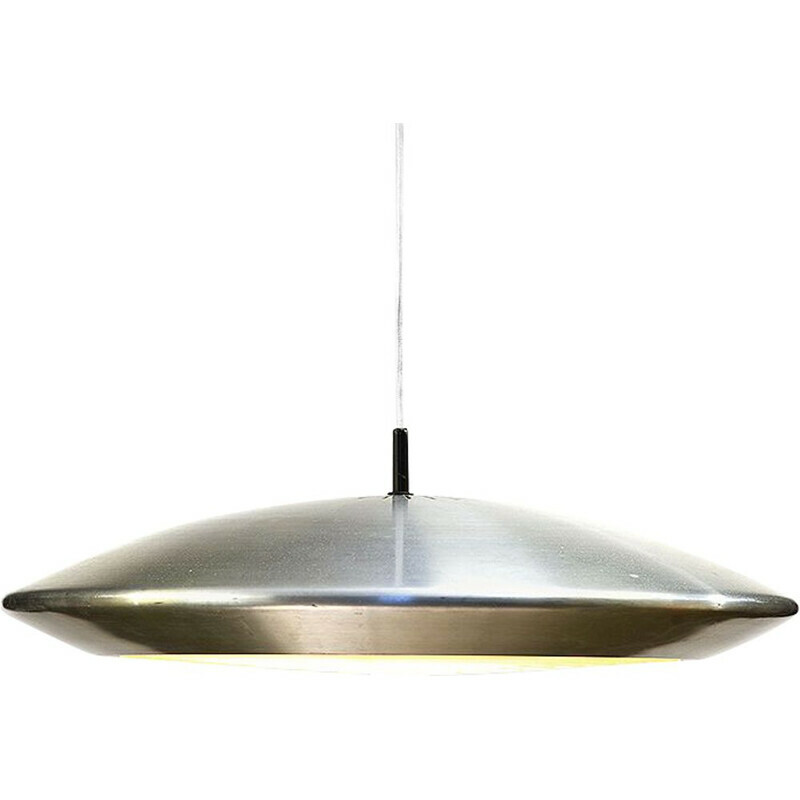 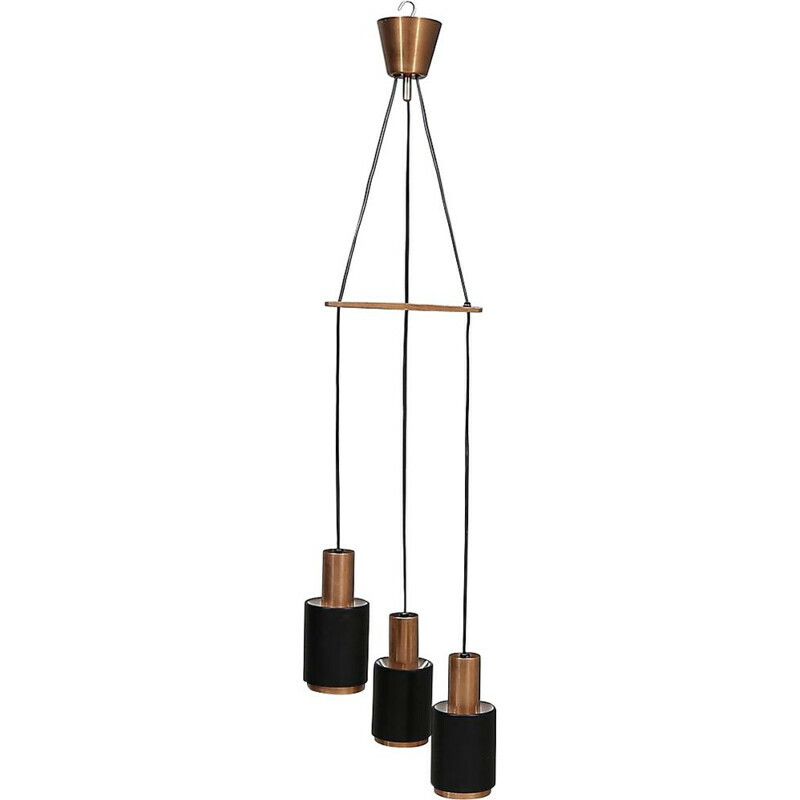 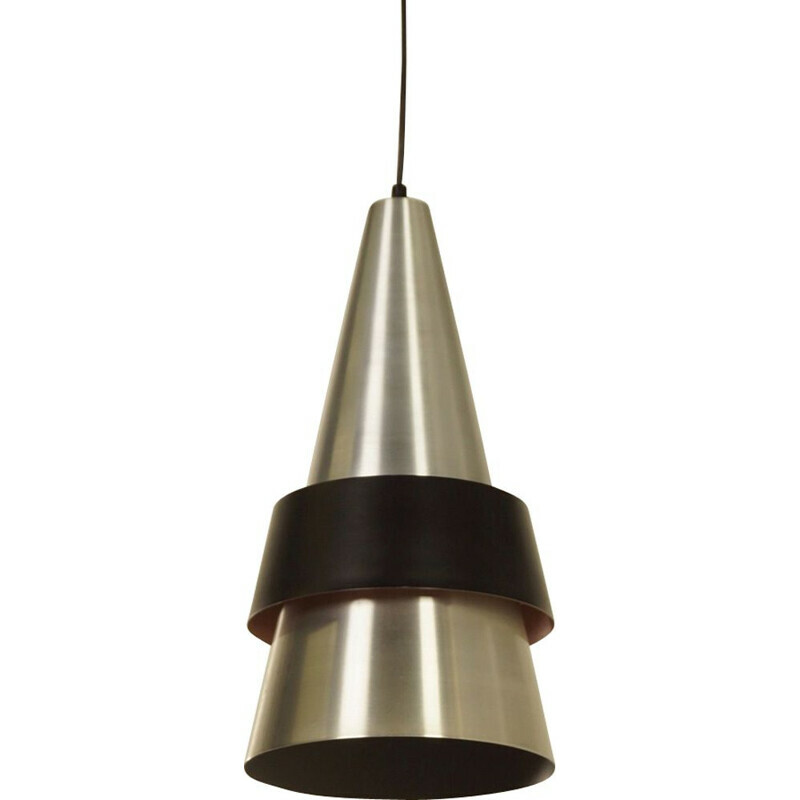 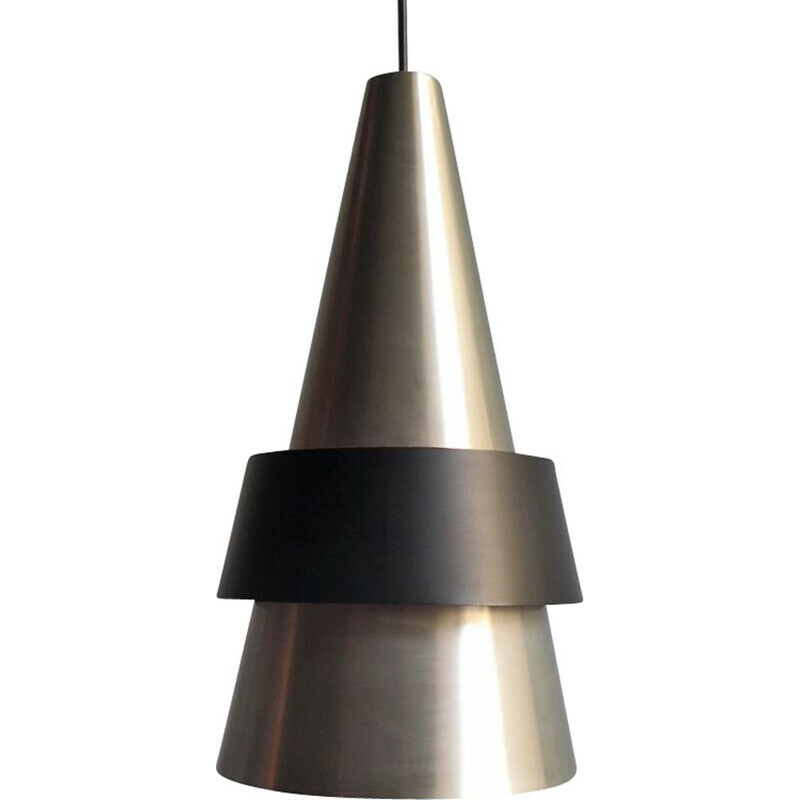 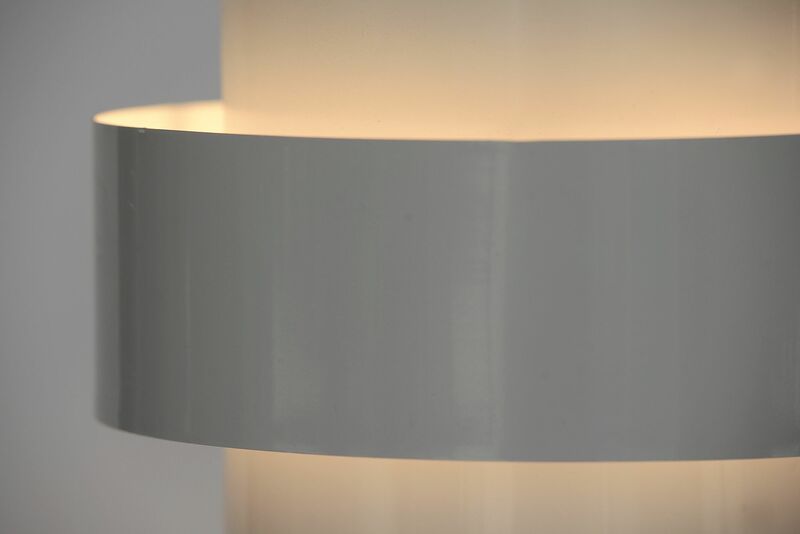 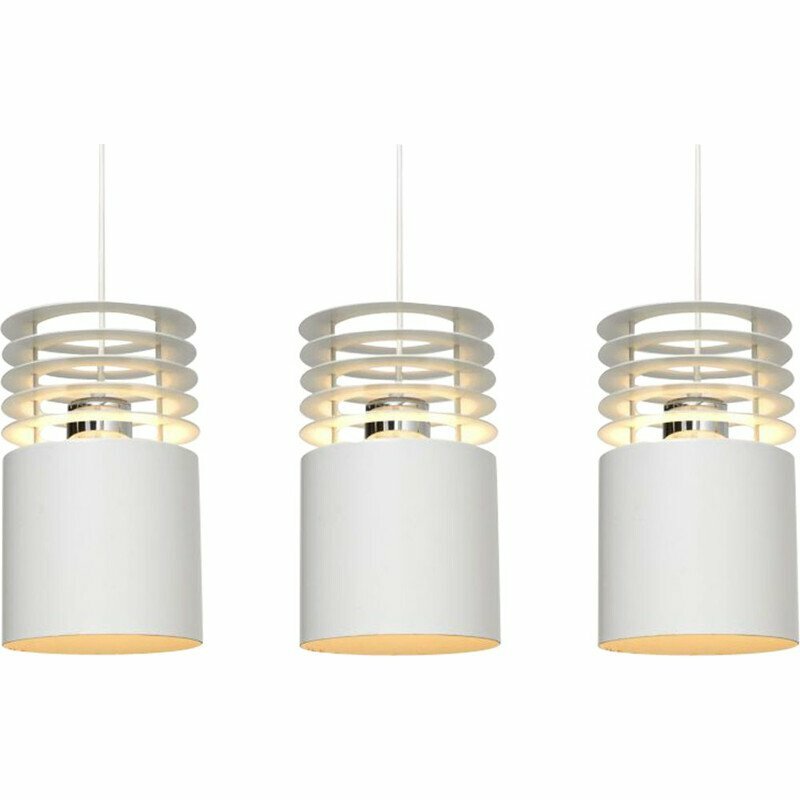 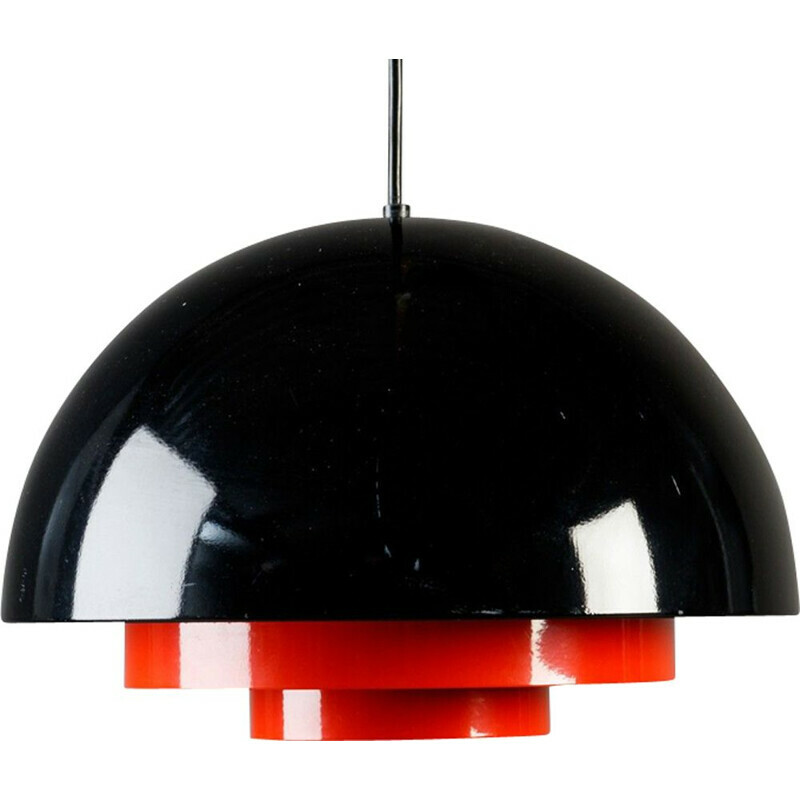 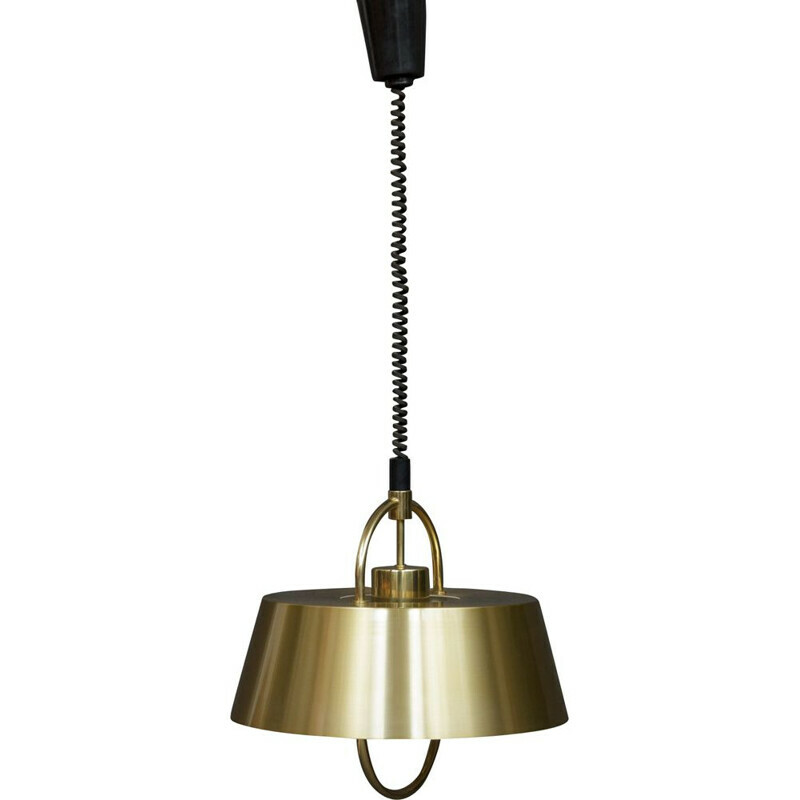 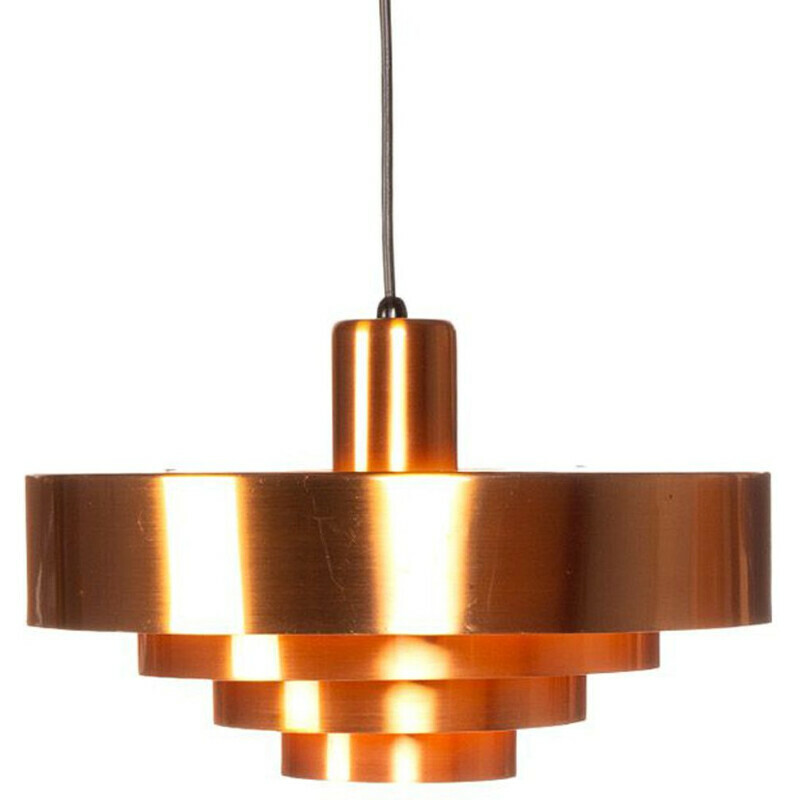 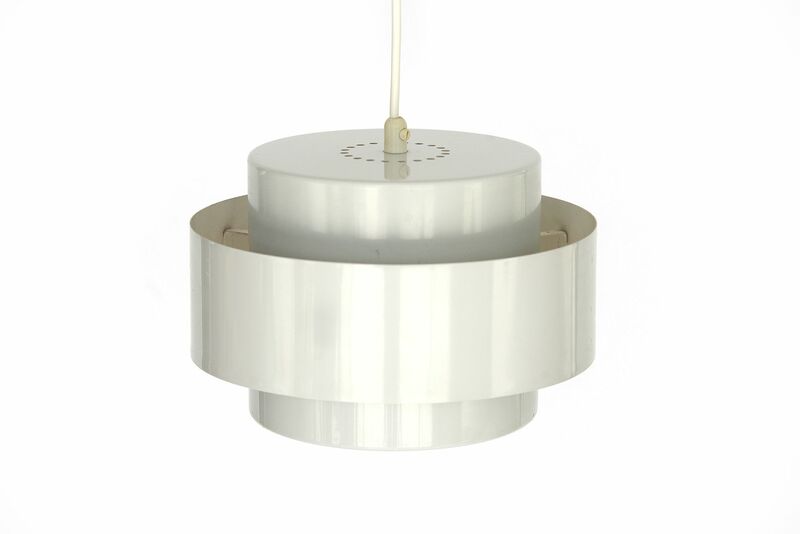 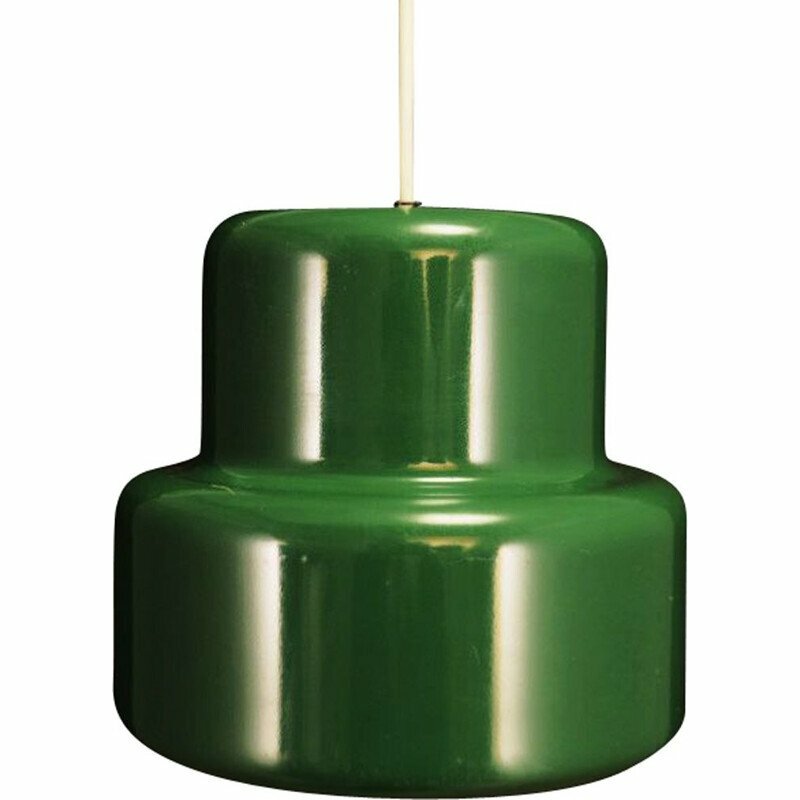 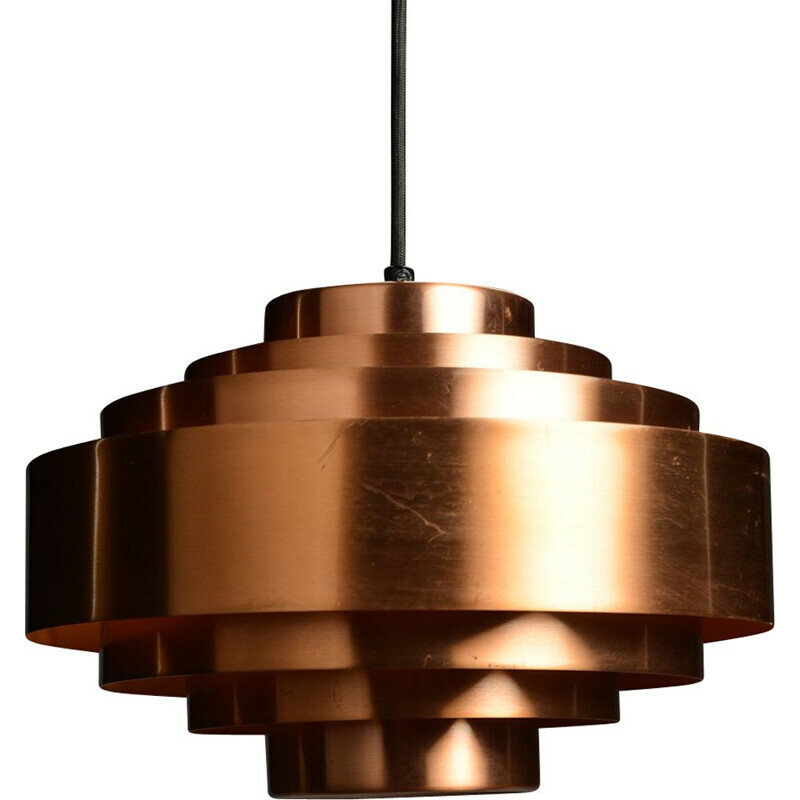 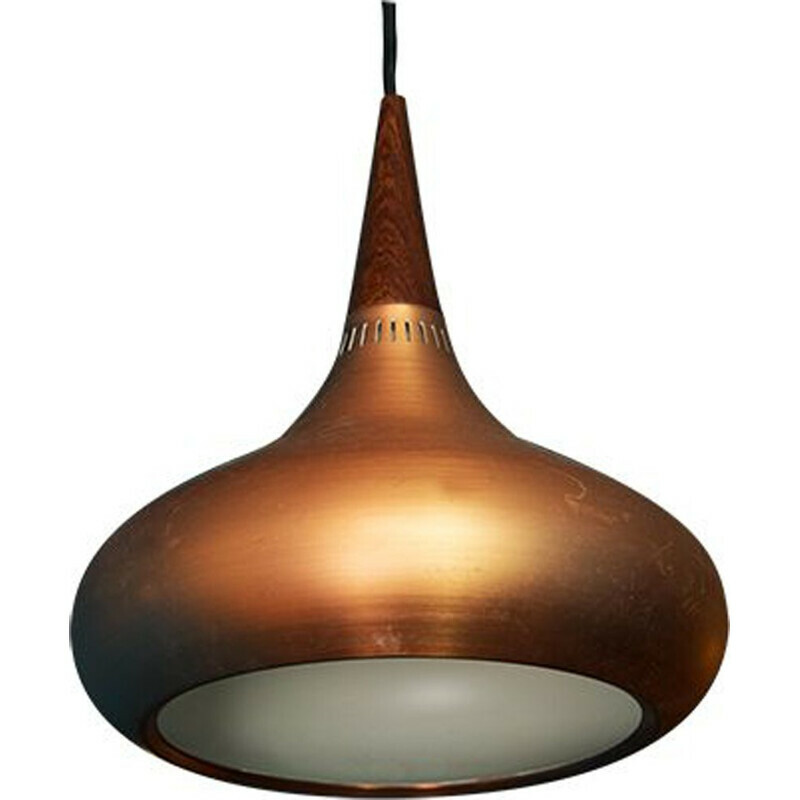 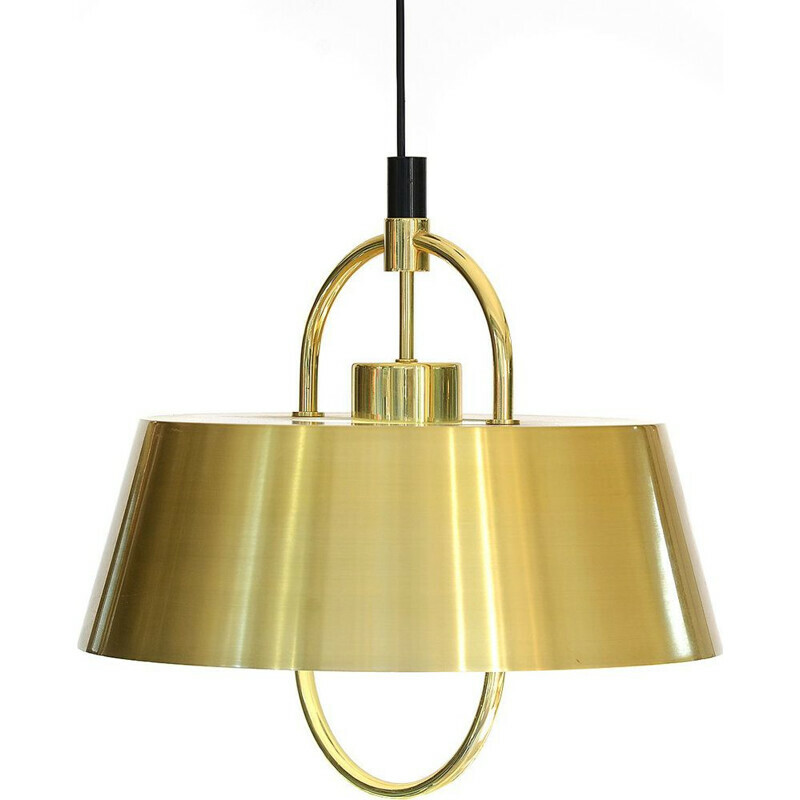 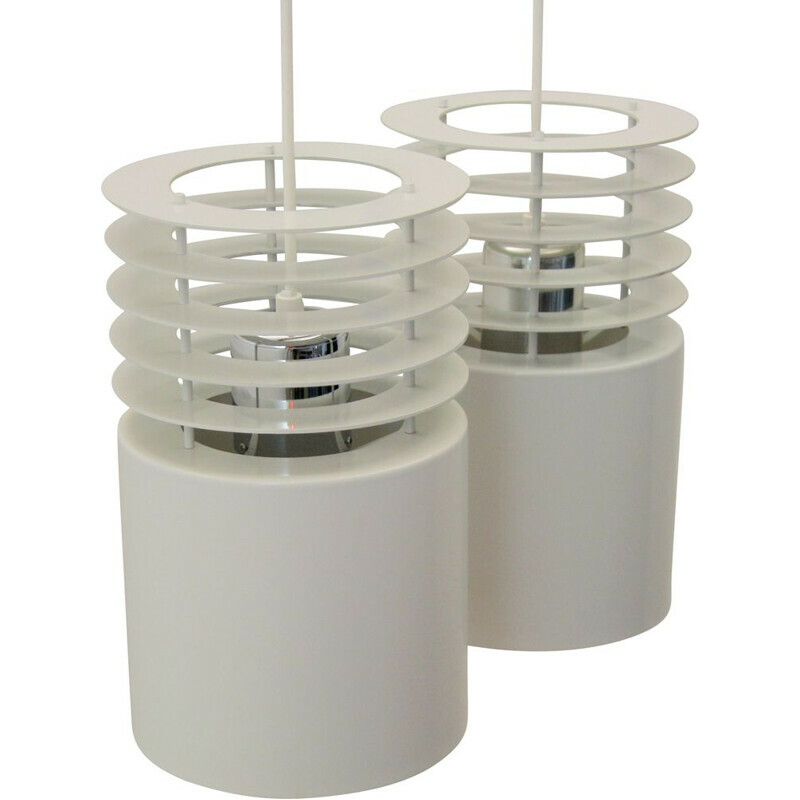 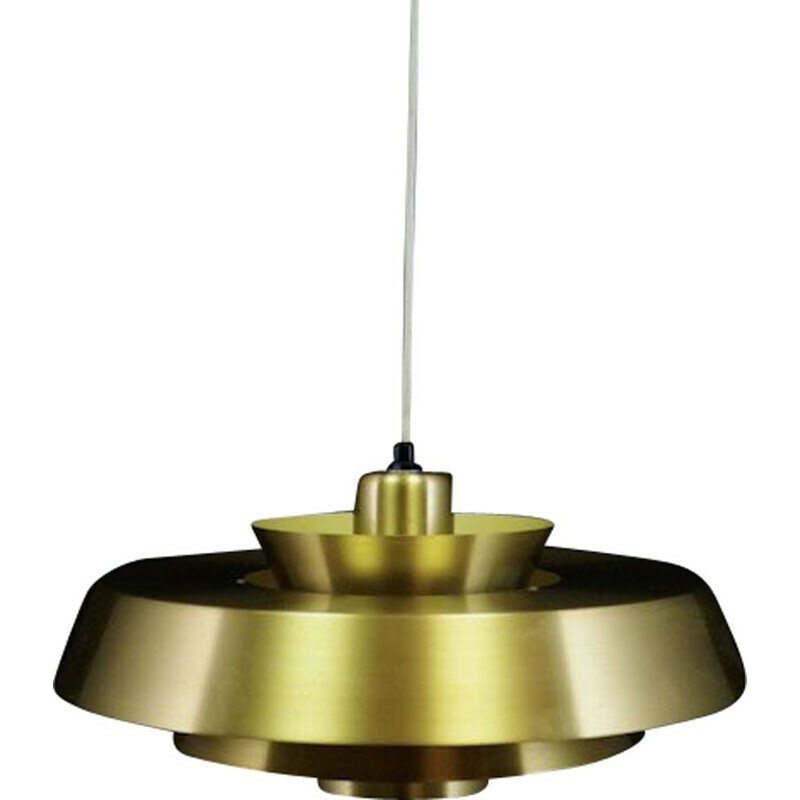 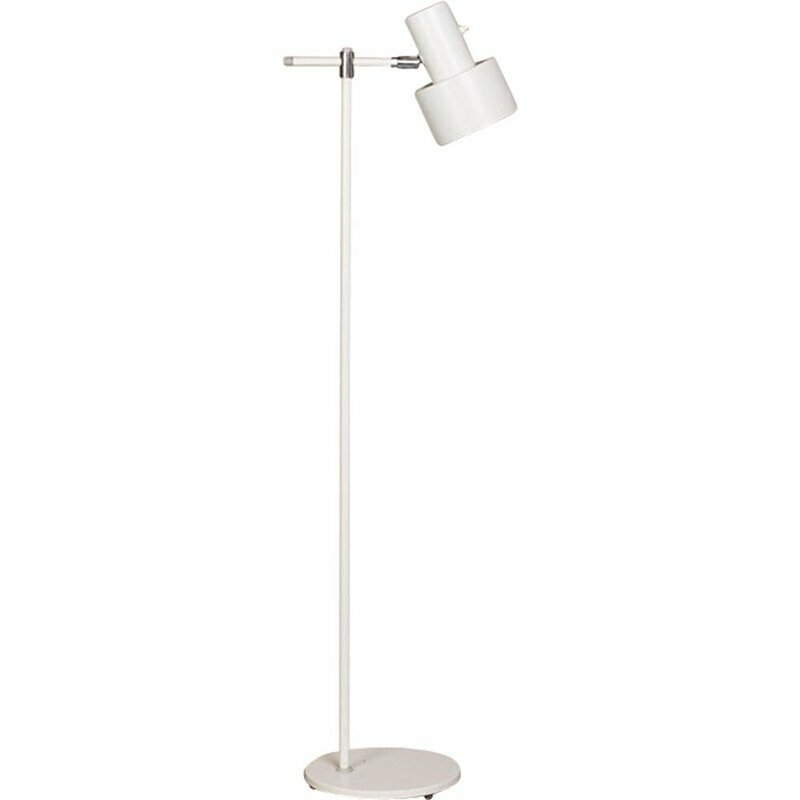 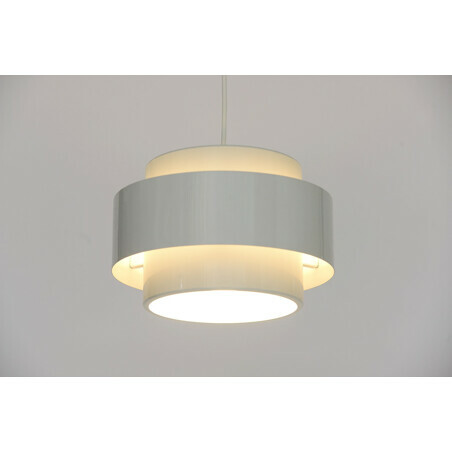 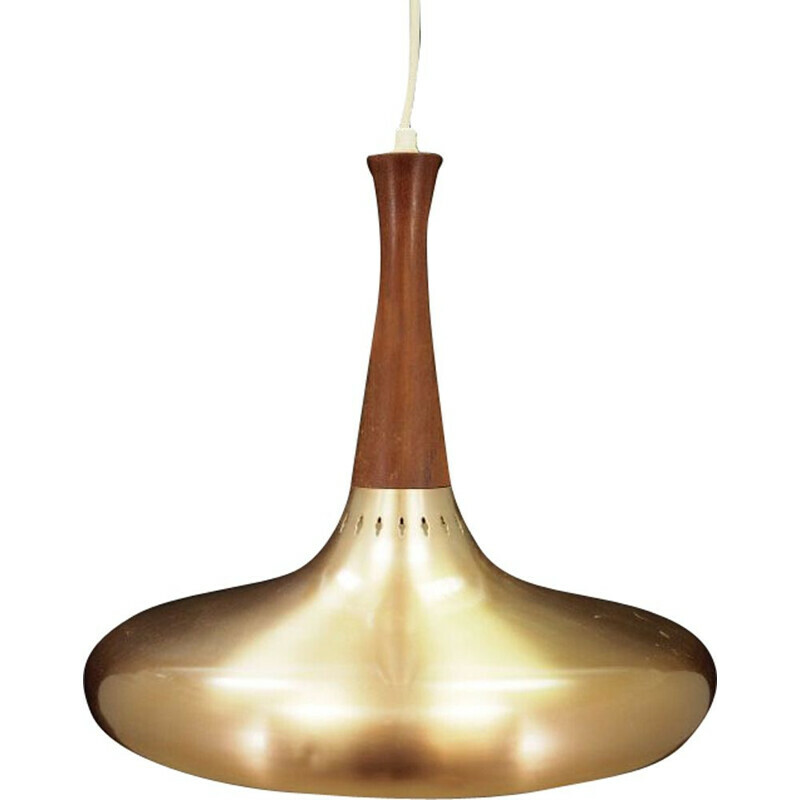 The Juno is a medium sized pendant light with great white flow downwards and the classic reflector ring along the sides. 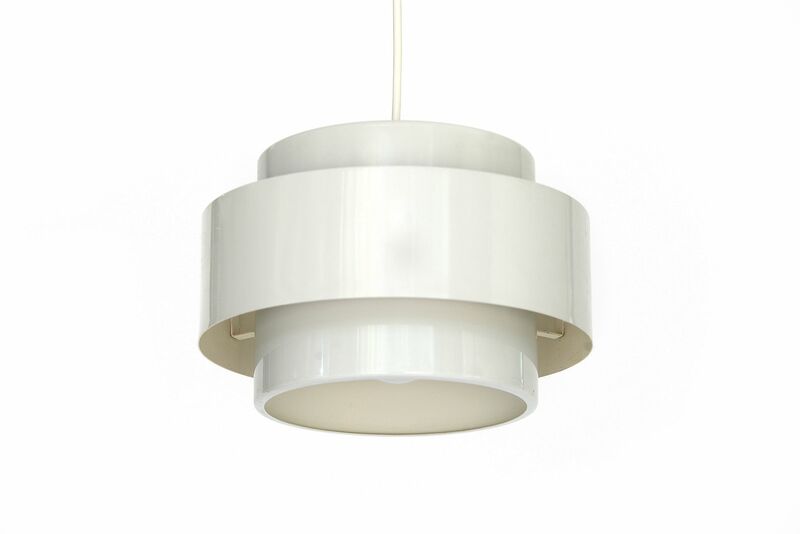 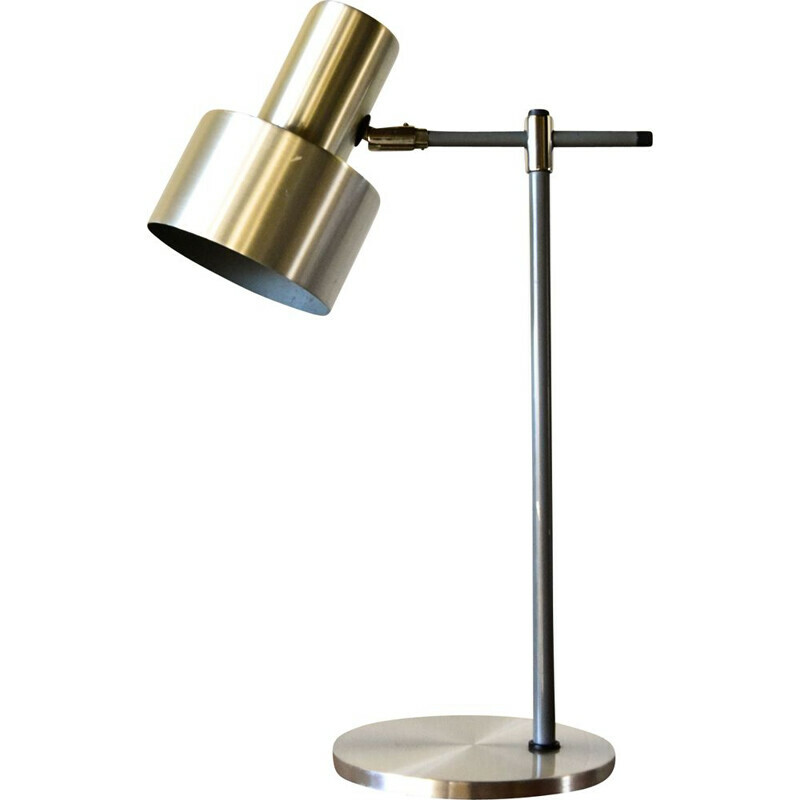 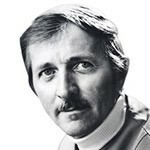 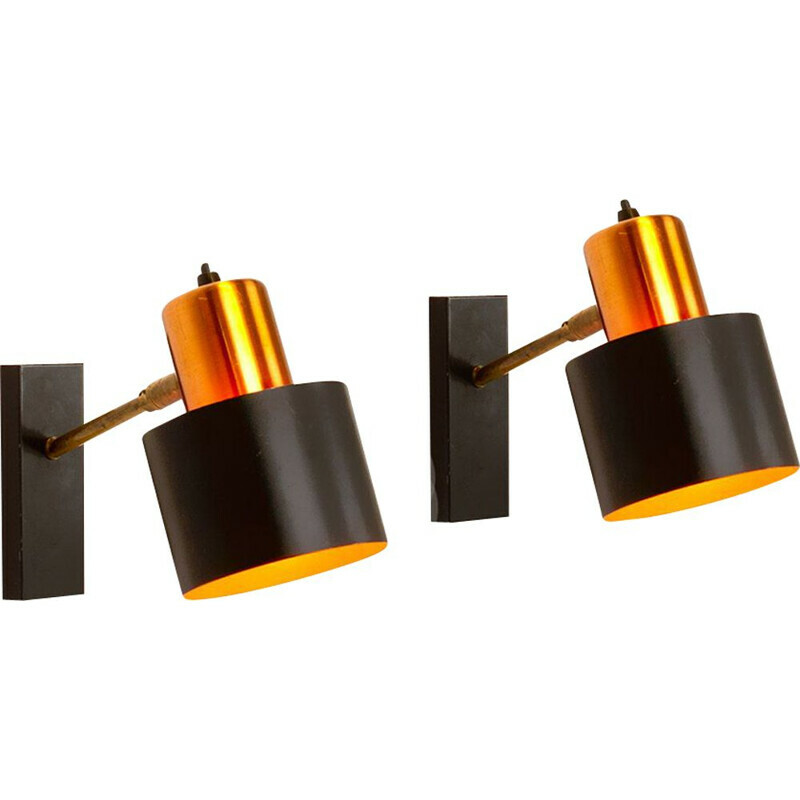 The top part features Jo Hammerborg’s signature “peep holes” for the light to peak trough.